Soft silk shawl Counting Flowers from the north of Thailand. 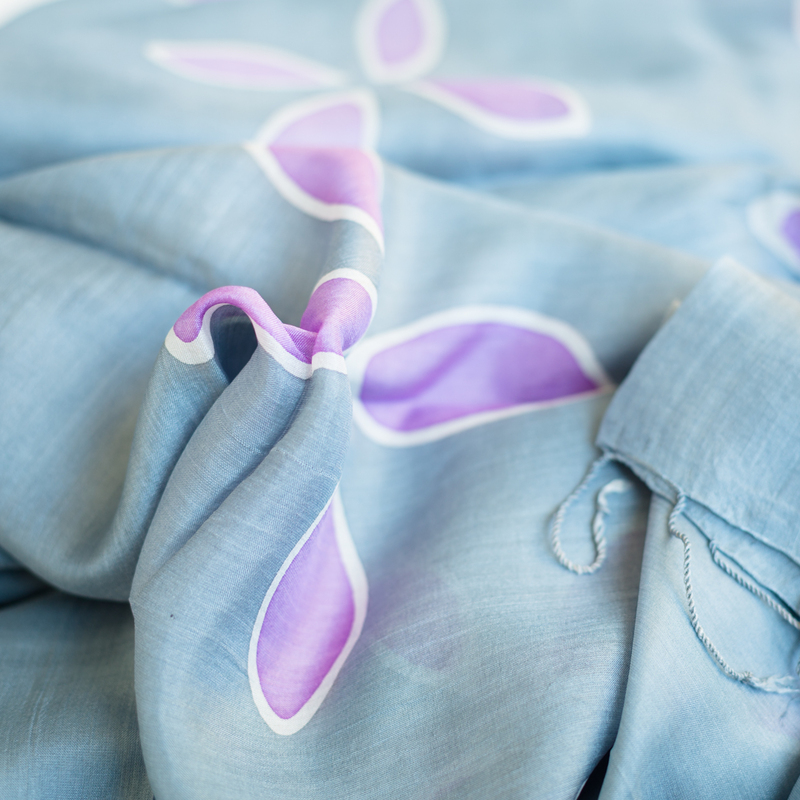 This silk shawl has been designed exclusively for Counting Flowers by Vinita, a Thai artist. Vinita creates her own dyes and uses many techniques to colour her silk scarves and shawls. She printed the flowers on the silk by using the batik technique. Vinita is an artist in her fifties living in the northern part of Thailand. 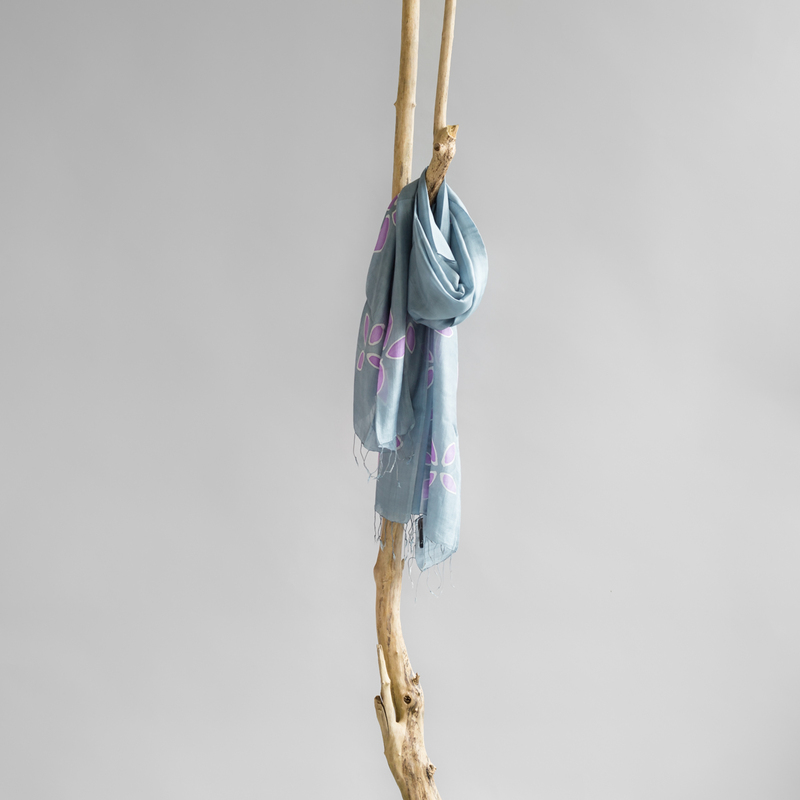 Because being an artist does not pay well, she now earns an income by dyeing silk scarves.